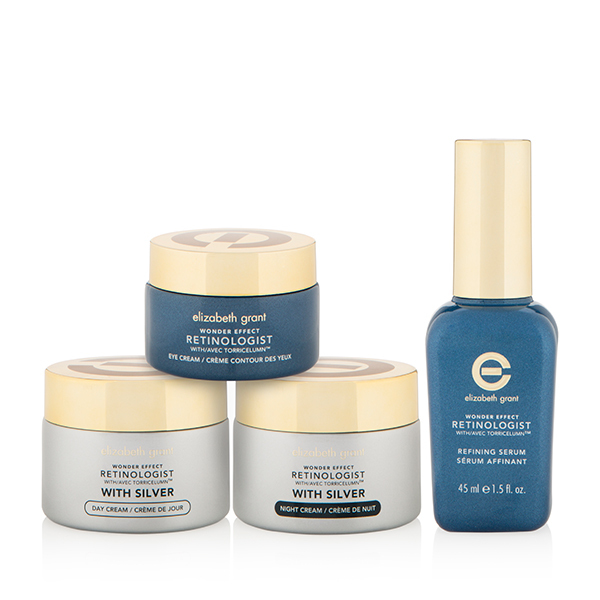 Treat your skin to the luxurious Wonder Effect with Silver Retinologist 4pc Collection, with each product specially formulated to buff and restore a more youthful complexion. 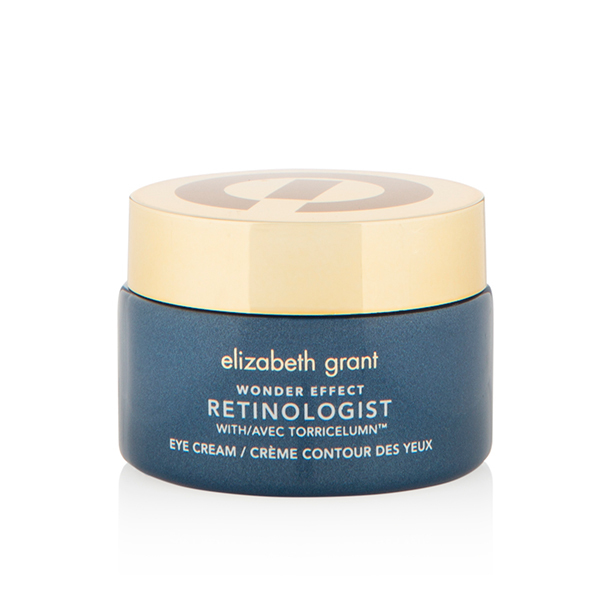 This nourishing and refining serum by Elizabeth Grant is specially formulated to combat rough and flaky complexions by speeding up the natural renewal process of skin. Blended with Torricelumn™ and Retinoid Complex-10 Technology, it helps to improve the appearance of large pores, fine lines and wrinkles whilst balancing discolouration for a smoother texture. With use, skin starts to look and feel softer and more youthful. 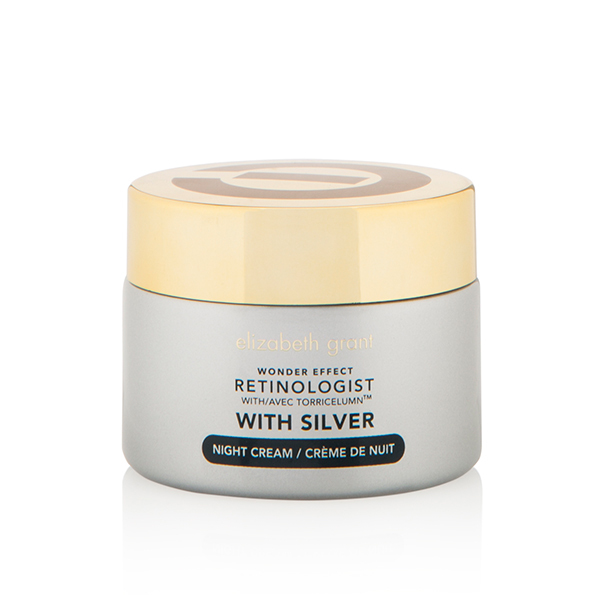 Formulated to help minimise the look of deep lines and wrinkles whilst restoring a youthful glow, this day cream is perfect for mature skin. 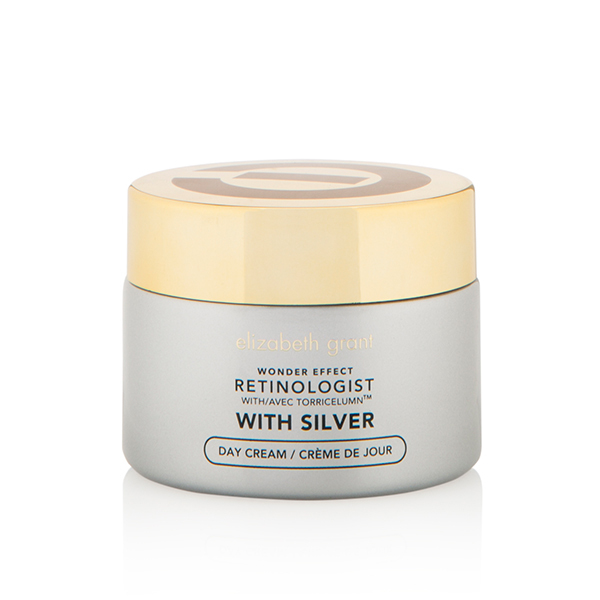 It targets the visible signs of aging and is infused with five types of Retinol and five Retinol precursors to help smooth, promote radiance and reinforce the natural strength of the skin. This intensive formulation of Torricelumn™ and a blend of Retinol key ingredients targets the appearance of skin discolouration, large pores, dullness, wrinkles and age spots whilst helping to improve loss of elasticity. It helps to not only rehydrate complexions, but rejuvenate and replenish. 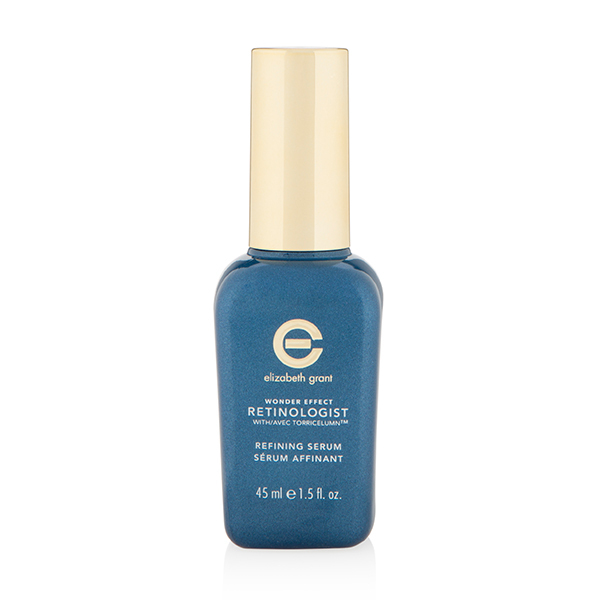 A powerful blend of Retinol and Torricelumn™ revitalises the delicate eye area by helping to hydrate the skin. It helps reduce the appearance of fine lines, puffiness and dark circles.